MY quest for a good bowl of curry laksa led me to a coffeeshop in Subang Jaya, Selangor recently. This came about following last week?s feature on a stall in Putra Heights, where the operator told me about her family business that is spread out across the state, like at the Lam Hing Leong coffeeshop (GPS 03 02.324, E 101 35.356) located off Jalan USJ 14/1P. The person managing the curry laksa stall at this restaurant is the mother of the woman serving curry laksa at the Tien Tien coffeeshop in Putra Heights. 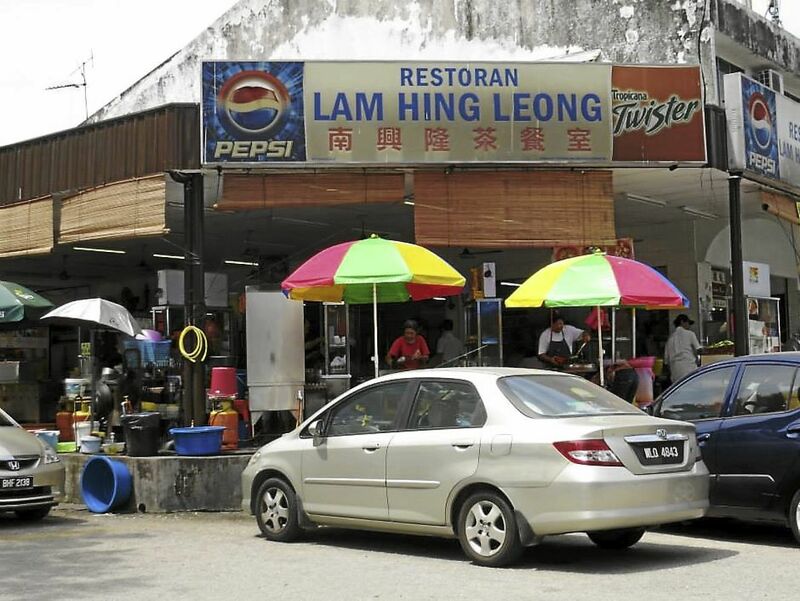 The curry laksa stall is located at the entrance of the Lam Hing Leong coffeeshop, just two rows away from the famous Uncle Jimmy?s ?Lorong Selamat? char koay teow. I also found out that the coffeeshop is now under a new management. At the stall named Leong Curry, an elderly woman was manning it with the help of an Indonesian worker. I ordered a large bowl of Chicken Curry Laksa (RM6.30) with some extra ingredients such as chee phei (fried pigskin) thrown in. Service was prompt as my bowl of noodles was delivered just minutes after I placed an order. The Chicken Curry Laksa was as good as the one served at the restaurant in Putra Heights. The only difference here was the extra ingredients such as fried pig skin and tofu pok (beancurd). I found the gravy rich and flavourful but felt that in terms of volume, it could have been more generous as my bowl of noodles was only three-quarters full. It looked like the beehoon had soaked up the gravy. On the Samo-scale, I would rate it a 7.5 out of 10. Why? Because everything was okay but for the chee phei, which was a little too rubbery. Like at the stall in Putra Heights, customers can also order assam laksa, Kampar fishball curry mee, assam curry mee and dry curry laksa. The stall is open daily for breakfast and lunch.